The visitors suffered a heavy defeat in the fourth ODI after they were dismissed for just 92 runs but the visiting side bounced back in the fifth match on Sunday to score 252 before winning by 35 runs. Stand-in skipper Rohit Sharma said his side wanted to test themselves in tough conditions after the Hamilton loss and lauded his team for showing character in the fifth ODI which India won to clinch the series 4-1 against New Zealand. India suffered a heavy defeat in the fourth ODI after they were dismissed for just 92 runs but the visiting side bounced back in the fifth match on Sunday to score 252 before winning by 35 runs. “The Hamilton loss, the way we lost was big. We need to get together as a team. I knew there was some moisture on the pitch. If the series was alive, we would have chased but we wanted to test ourselves today,” Rohit said after India beat the home side by 35 runs. Ambati Rayudu (90) and Vijay Shankar (45) shared a 98-run partnership to resurrect the Indian innings before Hardik Pandya (45 off 22) and Kedar Jadhav (35) powered them to a competitive total. Rohit heaped praise on Rayudu and Shankar, saying their partnership was the turning point of the match. “After we lost four wickets, all we needed was somebody to show application. Rayudu and Vijay Shankar did that. The partnership between them turned the game for us and the way Hardik and Kedar played, in the end, was magnificent. We showed a lot of character,” said Rohit who contribute just 2 runs. He also lauded the efforts of the bowlers for producing crucial breakthroughs. “The wicket got flat at the end, but at one point it looked an easy chase, but the bowling unit came together. Lot of people put their hands up and got us through,” he said. “Wasn’t easy after losing four wickets at the start. Thought 250 was a very good score on that pitch. Bowlers got crucial breakthroughs at critical times. I couldn’t ask for more,” he added. 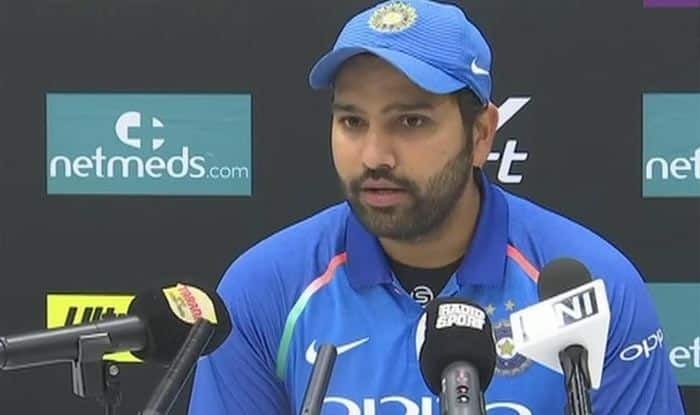 Rohit said the ODI series here helped them to have a look at how the bowling combination work out without Jasprit Bumrah, who was rested for the series following the Australia tour. Rayudu, who was adjudged the Player of the Match, said it was tough to face a good attack and his idea was to preserve wickets and take the match to the end. New Zealand skipper Kane Williamson admitted his team crumbled under constant pressure while chasing a tricky total. “First of all a different surface. They got to a par total, maybe a few more. We knew it would be tricky, but we did not take it further. We just lost wickets at the wrong time. They did it very well,” Williamson said. Mohammed Shami was adjudged the Player of the Series for taking nine wickets in the series, including the two-wicket haul in the fifth ODI. India will now take on New Zealand in the three-match T20I series, starting here on Wednesday.